The industry’s gotta keep churning out these high concept dramas to keep folks interested otherwise, it’ll turn into the American TV industry which is now seemingly obsessed with remakes and reboots. Lee Ahn has the ability to read one’s secrets when he touches someone and he decides to use it to take bad people down. While he doesn’t know how to control his power yet, he meets a woman who tries her best to hide her secrets. They will team up to solve cases. This kind of reminds me of Lucifer who can make anyone reveal their deepest desire and he teams up with the one woman immune to his abilities. Lee Ahn is played by Park Jin Young of Got7. His acting credits include School of Magic and The Legend of the Blue Sea. Shin Ye Eun is a rookie actress who previously starred in a web series called A Teen. She’s playing Yoon Jae In, the girl with a secret who works with him. Other cast include Kim Da Som (Unni is Alive) as Eun Ji Soo, an investigator who utilizes Lee Ahn’s skills and Kim Kwon (Marry Me Now) as Kang Sung Mo, a prosecutor who saved Lee Ahn when he was young. It’s written by Yang Jin Ah (Moorim School) and directed by Kim Byung Soo (A Korean Odyssey, The Bride of Habaek). They previously worked together on Chosun Police and Vampire Prosecutor. Kim Byung Soo also directed one of my favorite dramas Queen In Hyun’s Man, which just might get me to give the pilot episode a shot. We’ll see. This drama screams “3% ratings!” to me which makes tvN a great place for it because getting 3% on tvN is very different from getting it on a major broadcast network. 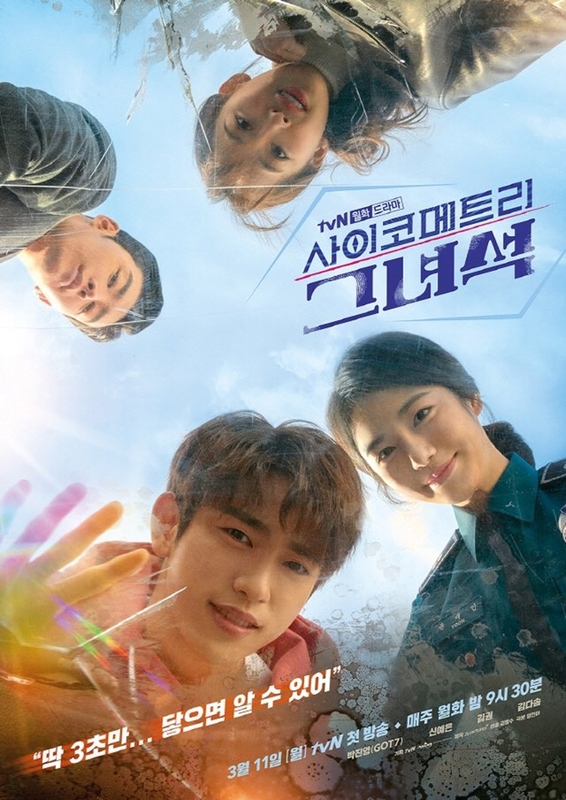 He is Psychometric will take over The Crowned Clown‘s time slot and is scheduled to premiere on March 11th on tvN. All I can do is cross my fingers that either Netflix or VIKI pick it up!